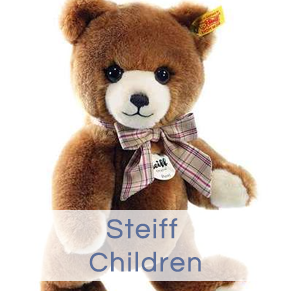 Collectable Bears by Steiff, Hermann, Clemens, Charlie Bears and more. 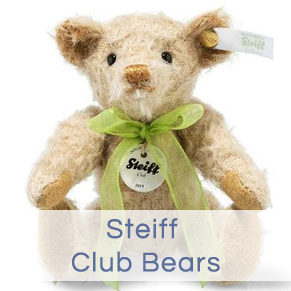 Here at Bear Gallery, we feature Steiff teddy bears for sale, where you will find a number of limited edition and collectable bears. 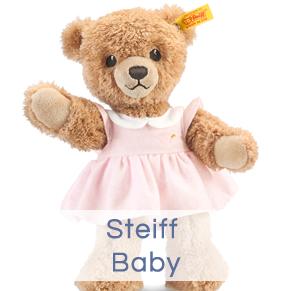 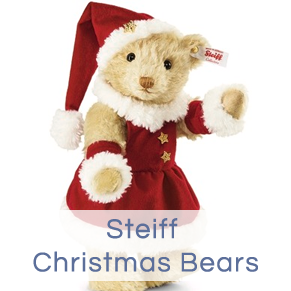 Steiff bears have been in production since the 1880s, so are ideal for a long-standing family tradition of gifting teddy bears to young children, who will treasure them forever. 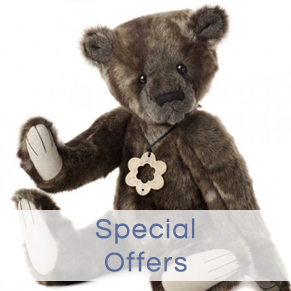 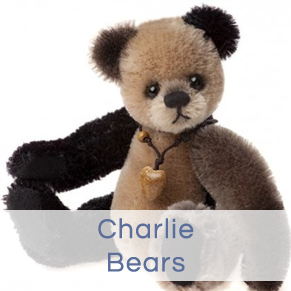 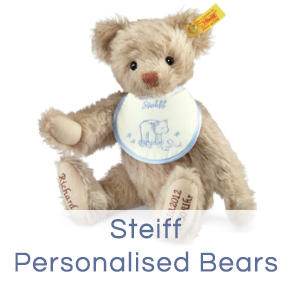 They are also collected by adults, and as specialists in this area of toys, we can help you build your collection of Steiff teddy bears, which will often increase in value, making them an excellent investment product, and an ideal family heirloom. 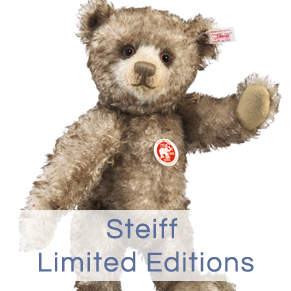 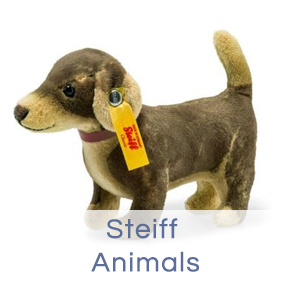 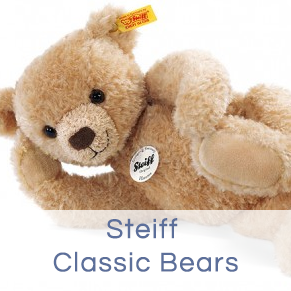 We have one of the largest selections of Steiff limited editions, country exclusives, classic bears, animals and baby products online in addition to the standard Steiff collection, known for its button-in-ear logo. 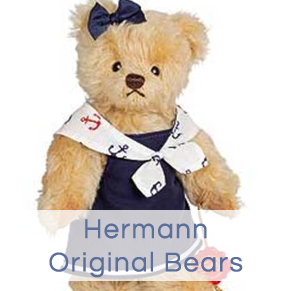 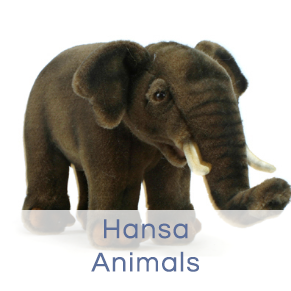 Other ranges we stock are Hermann Original, Clemens bears, Charlie Bears, Artist Bears plus a collection of old and vintage bears and animals. 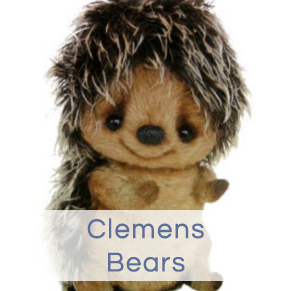 Read our testimonials and see what our customers say and watch out for our frequent special offers You can also keep up-to-date by viewing our news and events section. 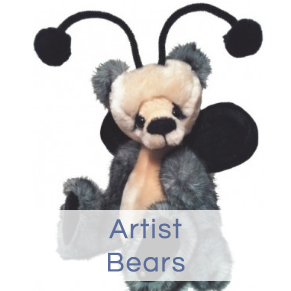 For further information and to discover more about the range, feel free to get in touch with us through the online contact form, email us, or call to speak to a member of the team directly. 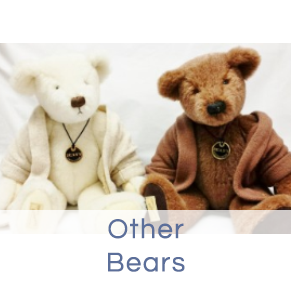 We will be pleased to help you find the bear of your dreams.